A peacekeeping mission and new industrial park underscore the progress South Korea is making with soft power. 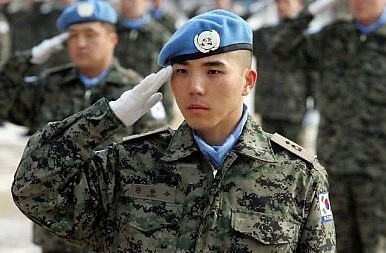 Last week marked the end of South Korea’s peacekeeping mission in Haiti, which began nearly two years ago following the devastating earthquake that left Port au Prince and its surrounds in ruins. The elite Korean team, named the “Danbi unit,” was trained specifically for disaster relief and humanitarian missions. The Danbi unit joined thousands of peacekeepers from around the world to take part in the U.N. Stabilization Mission in Haiti (MINUSTAH). Before returning to Korea, the unit was thanked by the U.N. special representative to Haiti for its dedication to bringing “new hope” to the crippled nation. However, the end of the Danbi mission won’t signal the conclusion of Korean efforts in the Caribbean nation. Seoul is continuing with plans, announced last year, to construct a massive industrial park in the north of the country. The $224 million Caracol project is being spearheaded by Korean textile giant Sae-A Trading Co. Ltd and has the backing of Haitian President Michel Martelly as well as former U.S. President Bill Clinton. Sae-A will be supported in its efforts by the United States and the Inter-American Development Bank, which have agreed to provide $170 million towards improving the infrastructure in the area. Seoul has certainly been successful in its soft power efforts globally over the past decade, and has consequentially accrued political capital and financial contracts not only in the Americas but also in Africa, Central Asia and the Middle East. Korea’s continued presence in Haiti is significant for a number of reasons. First, it demonstrates Seoul’s ability to lead Asia in pushing international development, an area that was once dominated by Japan. Second, Caracol demonstrates Korea’s ability to remain dynamic in its approach to foreign investment while still maintaining its reputation of taking calculated business risks overseas. Finally, the Danbi Unit’s hands-on experience in rebuilding a country with a dilapidated infrastructure is important training for the Korean forces in the event of regime collapse of North Korea.